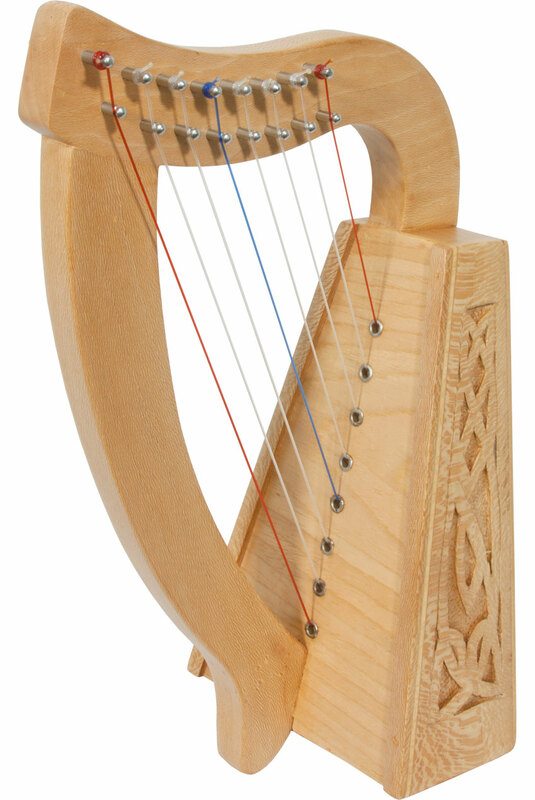 8-String Lily Harp™ with Knotwork carvings. Approximately 15" high. Featuring 8 DuPont hard nylon strings, a range from C above Middle C to High C, no sharpening levers and has a hand engraved lacewood frame. A tuning tool is included. Gig bag sold separately.